Twinkle Twinkle Lyrics by Bilal Saeed is a fabulous song sung, written and composed by him. Young Desi has sung the rap part of this song. 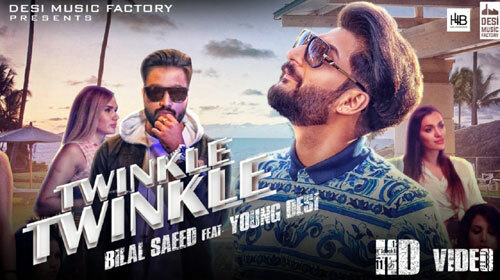 If you find any mistake in lyrics of TWINKLE TWINKLE LYRICS – Bilal Saeed | Young Desi song please let us know in comments.